1970 Chevelle SS Found Stored in a Open Barn 35 Years!! Take a look at this, 1970 Chevelle SS Found Stored in a Open Barn 35 Years!! We take you to the middle of Tennessee in a very rural area, where Patrick being Patrick, managed to stumble upon a 1970 Chevelle SS which has been at the same place for three and a half decades. The car has not swapped ownership since 1984 and it has been living under this roof, in this open style barn all this time, and the great news is that this car is actually a car that drives and the owner takes it for a spin from time to time, something that is quite remarkable for a car that was manufactured nearly half a century ago. 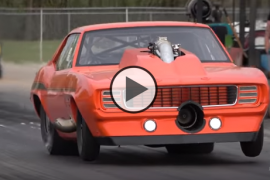 Patrick Nichols, is here as always to tell us all the things that we should know about this great machine, and give us all the facts about the production numbers about all of these Super Sport Chevelle vehicles, so play the video and enjoy. 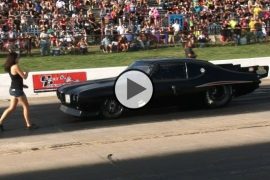 Big Chief Smokes Ryan Fireball Camaro for The Number One Spot!! BIG TIRE No Prep RACING in the 405 for $20 000 Outlaw Armageddon! 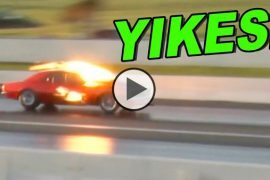 Reaper From OKC Street Outlaws Testing the New Procharged Yenko Camaro!!! Next articleJunkyard 1957 Chevy First Start in 39 years!! 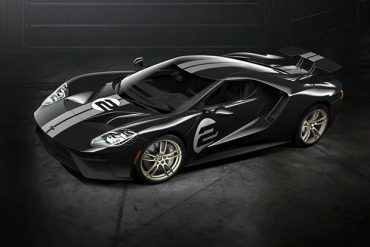 New Ford GT Spec Revealed, It’s Faster Than Ferrari!